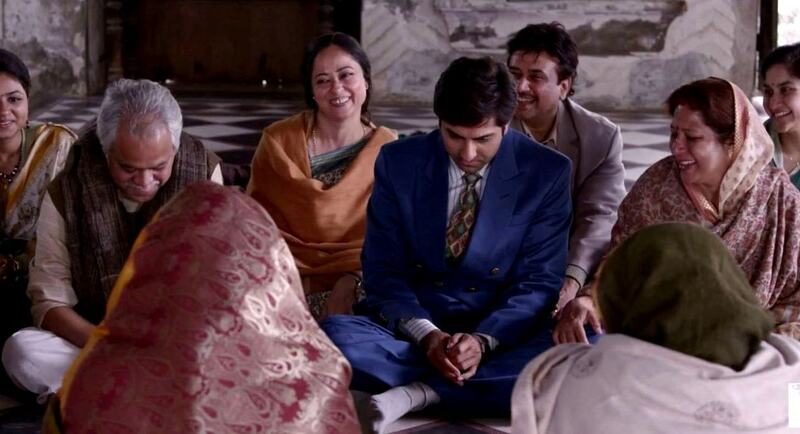 I won’t deny that my decision to watch Dum Laga Ke Haisha was biased. I’d only heard good things from all quarters; quarters I trusted. Not to mention Varun Grover’s association who is only about one of the most brilliant fellows in the writing circle with a superlative comic timing. I knew what to expect from the movie on some level. It was going to be laden with real scenarios, real characters, real dialogues. The trailers made the movie seem like a situational comedy. What I didn’t expect was how heartfelt it was going to be. How the movie is a reflection of Indian society and culture; the society where arrange marriages are the norm and divorce a taboo. Where familial duties are placed above everything else, where love and romance exists but in the shadows, a society that is in equal parts shallow and equal parts opportunistic. The premise is 1995 Haridwar, a time when Kumar Sanu songs ruled the roost. Young Prem Prakash Tiwari (Ayushmann Khurrana, in possibly his best performance till date) is a connoisseur of the classic 90s Bollywood. The Tiwari family is run by patriarch Chandrabhan (Sanjay Mishra, these roles are almost like clockwork for this performer par excellence) who decides it is time the son of the family was found a wife. Prem is shown to Sandhya (debutant Bhumi Pednekar, the educated and assertive female protagonist who is a class A fool in the matters of the heart). Sandhya is a B.Ed who pretty much instantly takes to Prem. Prem on the other hand despises Sandhya because she is “fat” but goes ahead and marries her anyway because he cannot get a word in edgeways in front of his father who seems to be from the school of thought “Spare the rod, spoil the child”. Just that in this case, the rod is mostly Chandrabhan’s footwear. What follows is initially hilarious but one starts to see the irony, the heartache, the helplessness, the anger and largely, the societal dogma. There are times you empathize with all characters because somewhere deep down you know you are as shallow in life or as foolishly optimistic as they are. Yes, the climax is predictable. Yes, you tell yourself the familiar line “This only happens in movies”. Yes, you are somewhere secretly torn between wanting a non-cliched ending to cheering for the eventual union with a teary-eyed, gargantuan grin. Director Sharat Katariya has pretty much got everything spot-on. In fact the entire cast and crew gets everything bang on target, from the screenplay to the cinematography to the set designs to the costumes to the background score to the dialogues to the casting. 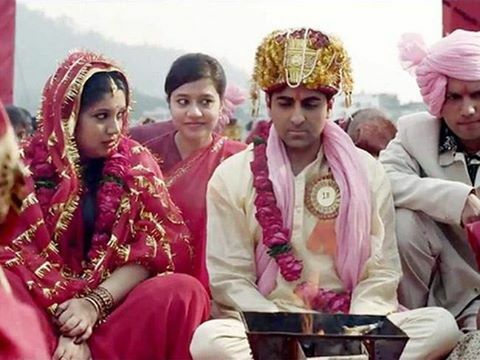 Remember to brush up on your Hindi before you decide to go for Dum Laga because the movie is riddled with beautifully timed dialogues, meticulously strewn jokes with picture perfect punch lines and wonderfully woven, thought-provoking statements on human nature. Which if you aren’t all that conversant in Hindi, you are bound to miss and that would just be a royal waste. However strenuous Prem and Bhumi’s relationship might have been, Dum Laga Ke Haisha, the movie, luckily doesn’t demand much dum out of you to give favorable ratings to it. By the time you leave the theaters, you are humming the end credits’ song. It is a tribute to Kumar Sanu and that era of Bollywood which had loud costumes, elaborate sets, over-the-top dance moves and cheesy lyrics. And this is when you secretly thank your stars that Bollywood is coming of age. Or at least a sizable part of it is desperately trying to.